KARACHI: The 1965 Pakistan-India War is famous for the heroic defence of the motherland by the country’s armed forces after India launched a surprise attack on September 6. The war also featured the largest armoured engagement after the Battle of Kursk in World War II. 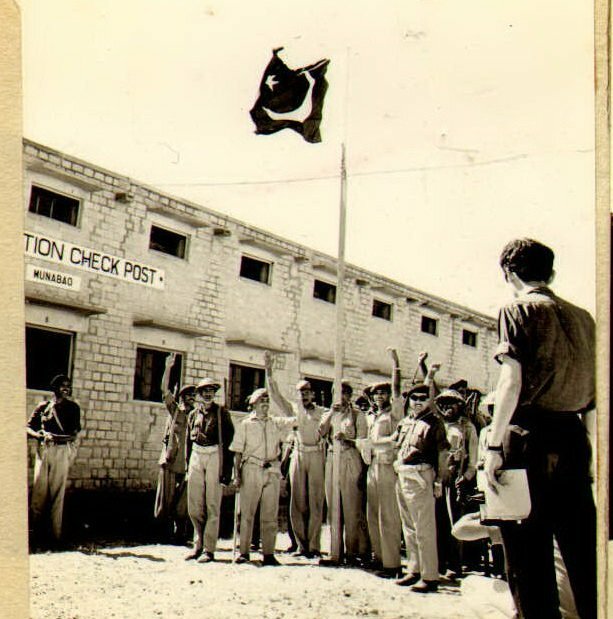 Some pivotal engagements shaped the war and helped in maintaining the morale of Pakistani troops, who were heavily outnumbered and outgunned, and in blunting Indian attacks on Pakistani territory. 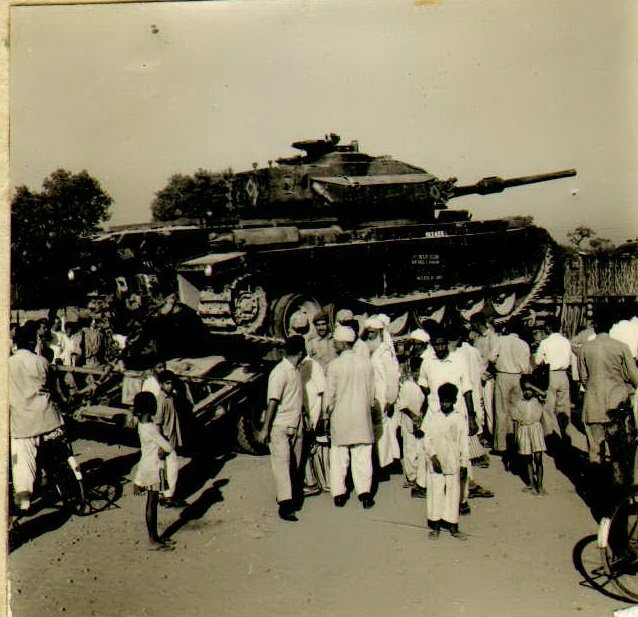 The tank battle fought in the Sialkot sector between September 7 and September 22 in 1965 is referred to as the Battle of Chawinda. Both India and Pakistan claimed victory in the area, but the peace deal which brought the war to an end exposed the exaggerated contentions of the Indian side. The battle, primarily centered on the town of Chawinda, was actually fought along a larger western front opened by the Indian army. According to multiple military and academic accounts, New Delhi launched the attack in order to cut off the defensive formation of Pakistani troops and block the main line of communication further west. The plan was to capture Lahore and use the city as a base for further operations inside what was then West Pakistan. 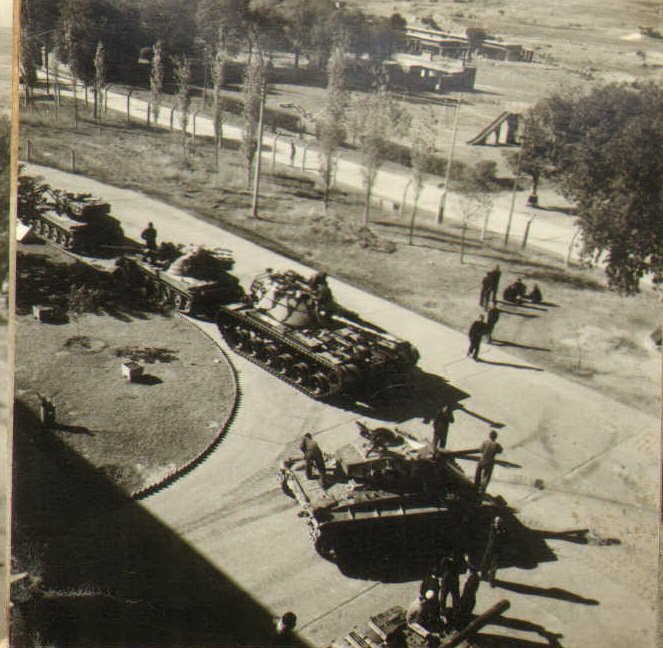 India deployed its only armoured division, the 1st Armoured Division, on the ground for the first offensive, which was supported by the 14th Infantry and the 6th Mountain Division. Pakistan defended by fielding the 1 Corps, comprising the 15th Division and the 6th Armoured Division and supported by the 4th Artillery. Both armies were later reinforced to boost their initial deployment. According to a book by Major (retd) Agha Amin which covers the military history of Pakistan, Pakistan Army’s 1 Corps was created in 1956 and at the time of the 1965 war, was tasked to operate along an area from Chenab river to Sulaimanke on the border. However, after the declaration of war, this operational area was reduced to the Ravi-Chenab corridor, the former officer noted in his study. 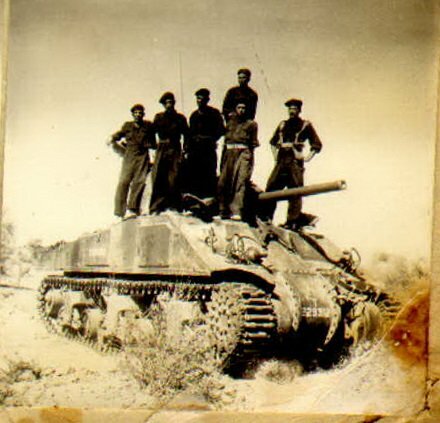 The 15th Division of Pakistan Army included four infantry brigades and four tank regiments. The units tasked with the defence were the 115, 24, 101 and 104 infantry brigades. The 25th Cavalry Regiment, led by Lieutenant Colonel Nasir, also commanded a unit equipped with Patton tanks which, later on, successfully pushed back the advance of Indian forces near the Gadgor village. The Indian offensive force, also named 1 Corps, had split up upon entering Pakistan. The enemy had been instructed to “cut off Sialkot from Lahore” by proceeding in a south-west direction and the initial objective of the attack was to capture the towns of Phillora, Chawinda and the Pagowal area. On September 7, Indian forces seized the border area on the Sialkot-Pasrur railway, effectively crippling Pakistani supply lines. Pakistan rushed reinforcements to the area, which included an independent tank destroyer squadron comprising, according to conflicting reports, 135 tanks. Fighting in this area, after the arrival of Pakistani tanks was intense, but the army managed to prevail and stopped further Indian advance towards the city. Meanwhile, another infantry brigade of Indian 1 Corps attacked the town of Gat, while the 1st Armoured Brigade from New Delhi pushed on against Phillora in a coordinated strike against the settlement. In the heat of this battle, air strikes from Pakistan Air Force caused mayhem in Indian armoured ranks. According to one interesting observation by a military historian, the poor planning of the Indian attack was evident as the approaching Indian cavalry could easily be seen by the Pakistani 25th Cavalry because of rising dust columns. After two days of intermittent fighting, the Indians launched another assault in the area, successfully limiting Pakistani forces to their base in Chawinda. An offensive push by Pakistan, which planned to recapture the town of Phillora, was repulsed. After this, the Pakistanis settled in defensive positions, waiting for the next move, suggest accounts of the war. Despite being heavily outnumbered by ten to one, the Pakistanis fought gallantly. As reinforcements arrived in the form of 1st Armoured Division and an infantry brigade, the Pakistanis thwarted multiple Indian attempts to take Chawinda, including an epic assault on September 18 that resulted in heavy losses to the Indian forces. On September 21, as India agreed to a Russia-sponsored ceasefire, the Indian forces retreated back to their original positions on the border. Pakistan Air Force conducted sweeping strikes on the Indian forward air base of Pathankot on September 6, taking the enemy completely by surprise and destroying 10 aircraft on the ground, in addition to inflicting heavy material losses to the base. The attack, which some military historians and defence analysts have called one of the most successful air raids in contemporary history, was planned and executed to perfection and achieved the initial objective of spreading fear in the enemy ranks using shock and awe generated by surprise precision strikes. After the Indian army crossed the border into what was then West Pakistan with the objective of relieving some of the pressure on Indian Occupied Kashmir, the PAF decided to decimate Pathankot air base. Eight F-86 Sabres were tasked with striking the Indian base at dusk on September 6, flying out from Peshawar. Night bombing raids to consolidate the gains of the initial strikes were also planned, according to reports. In addition to the strike on Pathankot, three other attacks, on Indian airbases at Adampur, Halwara and Jamnagar had also been planned by the PAF. A total of 32 F-86 Sabres, flying from Sargodha, Peshawar and Mauripur, were chosen for the mission. The 19 Squadron based in Peshawar would target Pathankot, the plan envisioned. Squadron Leader Sajjad Haider led the strike on Pathankot, and planned the mission very thoroughly. Haider instructed his pilots to get airborne from Peshawar and climb high in the opposite direction, dip to tree-top level below radar cover afterwards, and turning simultaneously towards the enemy target. One account of the war revealed that the Pakistanis also practiced these strikes in simulated environments beforehand. On the morning of September 6, six F-86 Sabres were loaded with five-inch rockets on instructions of Air Marshal Nur Khan, in addition to six .50 Browning guns already installed on the fighter aircraft. Upon reports of Indian army crossing the border into Pakistani territory, this fleet first conducted strikes on advancing Indian forces on the border, inflicting heavy losses to enemy forces on the ground. After the first mission, the Sabres landed for re-fueling in Sargodha and then headed onto Peshawar for the Pathankot mission. The aircraft took off from Peshawar at approximately 1630 hours, taking to the skies in battle formation, climbing to 11,000 meters, then dropping down to tree-top level and proceeding towards the enemy target. Some reports from the PAF noted that the mission planners were still unsure of the actual number of enemy aircraft present at Pathankot. Despite warning from Indian soldiers, the Indian commander at Pathankot refused to allow a Combat Air Patrol (CAP) to take off and protect the base in case of a surprise attack. As the Pakistani Sabres reached Pathankot, they discovered several enemy aircraft on the ground. Squadron leader Haider first targetted the aircraft with fixed-gun attacks. The Indian base was entirely unprepared for an air attack, as even ground fire was relatively thin. Haider recognised the distinctive delta-winged MiG-21s- India’s latest fighter – among the aircraft on the ground, and singled them out for special attention. The rest of the pilots followed Haider, and crippled the Indian air fleet at Pathankot. The Pakistani strike damaged or destroyed most of these modern fighters on the ground. No Mig-21s were seen in the air during the remainder of the war. According to statistics released after the war, this operation destroyed seven MiG-21s, five Mysteres and one Fairchild C-119, and the Air Traffic Control building was damaged as well. Pakistan Navy conducted Operation Dwarka on September 7, 1965 to relieve pressure on the fighting forces up north, and divert the attention of Indian Air Force from major cities in northern Pakistan. The navy launched an attack on the Indian city of Dwarka to destroy a radar installation which was guiding Indian bombers. The primary mission objectives, according to military historians, were multiple, including an attempt to draw Indian units out of the city of Mumbai so that they could be attacked by the Pakistani submarine, PNS Ghazi. The attack was launched in the dead of the night as darkness provided valuable cover. The town of Dwarka was only 200 kilometers from Karachi, and also had historical significance. Pakistan Navy planned to launch the offensive with a fleet of seven naval vessels, which aimed to lure Indian ships at Mumbai into engaging these vessels, clearing the path for PNS Ghazi to attack important targets. PNS Babur, PNS Khyber, PNS Badr, PNS Jahangir, PNS Alamgir, PNS Shah Jehan and PNS Tipu Sultan took part in the first attack, attacking and bombarding Dwarka with ship-board weapon systems. War accounts published since the 1965 conflict have repeatedly noted how the Indian navy was unable to effectively respond to this attack, as the warships harboured in Mumbai were ‘undergoing refits’. Mission objectives were largely achieved, as Indian bombing raids on cities in Pakistan decreased after Operation Dwarka, which the navy said was a result of the destruction of radars which had guided Indian bombers. Indian forces have denied that their radars were destroyed by Pakistan Navy in Operation Dwarka. The lack of en effective Indian response to Operation Dwarka drew severe criticism from politicians in New Delhi after the war, who questioned the conduct of their armed forces in parliament after the war. One Indian military source suggested that New Delhi wanted to limit warfare to land, and did not want to get involved in an air or naval conflict with Pakistan. Some Pakistani officers later termed the subsequent expansion of Indian navy ‘a direct result of the humiliation at Dwarka’. After the war, the budget for the Indian Navy was increased, which procured new ships, missiles and other weapons. Pakistan Navy celebrates September 8 as Victory Day every year to commemorate the success of Operation Dwarka. After the humiliation of Pathankot, the Indian forces were scrambling to save face. The enemy chalked up a plan to target the Pakistani airbase at Sargodha, the largest and most important PAF base in the country. Multiple flights of Indian aircraft attacked the PAF airbase on September 7, but the counter-attack was swift and decisive. During the aerial battle for Sargodha, Pakistani pilot MM Alam brought down five Indian Hunter jets in less than thirty seconds, turning him into a global legend. The victory at Sargodha was also a key turning point in the war, with PAF establishing their lead and IAF playing catch-up in the war. The winning strategy of PAF worked like a well-oiled machine, military historians would later note. On 7 September, 1965, Squadron Leader Shabbir Syed led a flight of four F-86 Sabres on two separate strike missions against Kalaikunda airbase in India, during which the Pakistani pilots destroyed ten Canberra light bombers on the ground, along with two unidentified enemy aircraft. In the aerial combat which ensued, Shabbir also destroyed one enemy Hunter. This display of exceptional flying skill and outstanding valour earned him a Sitara-i-Jurat. Shabbir later rose to the rank of Air Marshal, and retired as Vice Chief of the Air Staff. The Kalaikunda Airstrike was no doubt a victory, a triumph of PAF in the east. East Pakistan had No.14 squadron deployed at Dhaka only. From Dhaka airbase, five jets targeted the Kalikunda airfield in India and took the enemy by surprise. A second raid was ordered to supplement the initial strikes. This time Flight Lieutenant Haleem led a formation of four Sabres on the attack. During the second raid, PAF lost one pilot and a plane. A series of battles were fought around Lahore for the control of the city during the 1965 war, and were thereafter referred to as the Lahore front, or the Battle of Lahore. The enemy assault was halted after the capture of the village of Burki near the historic city, in anticipation of a ceasefire. The Indian forces launched multiple offensives around Lahore on the night of September 5 with the aim of diverting attention from tensions in Indian-occupied Kashmir. XI Corps from New Delhi advanced along Amritsar-Lahore, Khalra-Burki and Khem Karan-Kasur roads. The Pakistani forces were vastly outnumbered, and after a series of small blunders, enemy troops were allowed within striking distance of Lahore. The 15th Infantry Division of the Indian Army also launched a major offensive on the Icchogil Canal, but was repulsed by Pakistani troops. The Indian commander was forced to flee the battlefield after his vehicle was ambushed, and his entourage was killed. A second attempt to take the canal later on in the war met with more success. On September 8, the Pakistanis launched counter-attacks to dispel Indian troops, boosted by the arrival of reinforcements. As a result, enemy lines were broken and Khem Karan was recaptured, but elsewhere, Burki and the villages and towns surrounding Lahore fell. The city also came under Indian tank fire before the ceasefire on September 22. However, after the end of hostilities, Indian forces retreated back to their original positions. Throughout the battle, the Pakistani forces, despite being outnumbered heavily, held their own against the enemy, and in the end, achieved their ultimate objective, which was to save Lahore and drive the enemy back inside India.